The first thing that comes to mind when I reflect on the extraordinary career of Chinua Achebe is that he was a true pioneer. I suppose that could be said of many other African writers as well, not only those who preceded him but also those of his own generation who, rather unexpectedly, helped to launch vigorous literary movements throughout the continent in the middle of the last century by expressing themselves creatively in European and indigenous languages. All of them, individually and collectively, were vital contributors to the modernization of Africa, to the reconceptualization of the continent’s past, present, and future, and perhaps most importantly, to the liberation of Africa’s imaginative energies. And they did this not by waging wars or struggling to win political or economic independence for their people as some of their more famous contemporaries had, but rather simply by manipulating words in new and surprising ways. They were revolutionaries of another kind who changed their world through invention, through powers not of muscle but of mind. They worked from the inside out. Chinua Achebe was one of the best of these—indeed, possibly the very best among his immediate peers—at performing such marvels of enlightenment. He has been called the father of the African novel, a title he modestly declined to accept. Perhaps the real problem with such an appellation is that it is too restrictively sexist, for it could also be cogently argued that he was the midwife of the African novel, having brought into being by his own exertions and example the healthy offspring of many other pregnant scribblers. He must be credited with having achieved an impressive birthrate in his role as a supportive ancestral hermaphrodite, being both father and surrogate mother of this increasingly fertile brood. Through his ministrations a number of spanking new national literatures were born. James Currey, who edited Heinemann’s African Literature Series for many years, has been quoted as saying that Achebe, by working for years as Heinemann’s advisor, “more than anyone else reshaped the literary map of Africa.”[i] For this reason one could claim that Achebe deserves yet another honorific title—Chief Cartographer of African Literature. in the bad old days under tyrannical indigenous rulers the unfortunate peasants had no chance to cultivate their land properly and little opportunity to reap for their own benefit what they had sown….Free men also suffered from the cruelty and rapacity of indigenous rulers. They were liable, at the whim of a chief or through the instigation of a fetish-priest, to indescribable tortures and brutal punishments. Trade was hampered by bad communications and the depredations of robbers and pirates who plundered and murdered peaceful traders. Tribal warfare caused much loss of life and destruction of property. This was the heroic narrative of Western imperialism, as told by one of its knighted functionaries. Achebe told a very different story. His novel is set in a peaceful rural village governed democratically by a group of prominent citizens obedient to their gods and observant of traditions and taboos handed down by their ancestors. Into this well-regulated society foreign missionaries and colonial governing officials intrude, winning over some villagers to a different system of beliefs and practices antithetical to those of their neighbors. As a consequence, the community is divided, things fall apart, and chaos is loosed upon their world. British colonialism has not been a blessing but a curse, causing havoc in what had once been a pacific haven, intelligently governed and guided by the wisdom of the past. Achebe’s novel was in essence a rebuttal of colonial historiography, and it came at precisely that moment when young Africans, on the eve of political independence, were beginning to question what they had gained and lost from their contact with an alien civilization that had attempted to rule them. However, Things Fall Apart was not entirely a one-sided story. 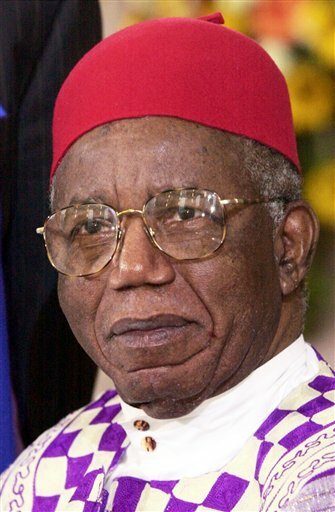 Achebe also depicted some of the problems in traditional African society. He chose as his protagonist Okonkwo, an ambitious individual whose achievements as an athlete, farmer, and warrior had quickly earned him a prominent place in his community but who also had a number of personal flaws—a hot temper, a contempt for less successful men, a tendency to treat his wives and children harshly. Above all, he relentlessly sought to prove himself a manly man, not a weakling like his father. These negative, antisocial traits put him on a collision course not only with the new religion and the colonial governing authority but also ultimately with his own community, a conflict that led inexorably to his demise. His death symbolized both the damage Europe had inflicted on Africa and also the self-destruction caused by Africa’s inherent vulnerability to social discombobulation. It was a tragedy in which both Europe and Africa were at fault. This was the kind of heavenly and hellish objectivity that made Achebe’s recreation of the African past not just honest and credible but powerfully persuasive. Instinct and judgment. How did these qualities emerge in such refinement in a young man still in his twenties who had had little experience in writing fiction, no encouragement from teachers at school or university to try his hand at storytelling on paper, no models of indigenous creativity in print from which he could draw inspiration, no mentors who could guide him toward representing truthfully the sophisticated verbal culture of a traditional society, no friends, colleagues, confidants or peers who had already set out in the creative direction he was about to explore in such depth and map with such profound understanding? Where, given this void in his background, did his originality as an artist come from? How did he happen to become a true, trend-setting pioneer? How do we explain his sudden emergence as a fully mature wordsmith who virtually single-handedly changed the course of African literary history? How do we solve this riddle, this enigma of his unexpected and unprecedented excellence? Were instinct and judgment enough to shape his virtuosity and vision as a deep-thinking creative artist? True, he had been exposed at the University of Ibadan to a few superb examples of bad writing about Africa, the classic cases being the novels of Joyce Cary and Joseph Conrad. He apparently also had become sufficiently acquainted with texts containing tainted colonial historiography of the Alan Burns variety to reject their interpretations of Africa as well. To this register of negative influences we could no doubt add Hollywood films set in the jungles and goldmines of the Dark Continent, especially those featuring Tarzan, Allan Quatermain, and other European adventurers in interaction with stupid, superstitious, malevolent, and unusually inarticulate savages. Western popular culture has been for centuries full of derogatory depictions of Africans. These racist narratives and images could have served as motivation for a writer who wanted to tell a more truthful story of his people and place in the world. But could countering such negativity necessarily account for the kind of artistic triumph we see in Things Fall Apart? So the simple but subtle act of effectively translating traditional eloquence gave him a distinctive voice that had never been heard before in African literature. And it transformed the way African speech was rendered by other authors in the years that followed. This was first most noticeable in the works by fellow Igbo novelists who also wrote in English—Flora Nwapa, John Munonye, Chukwuemeka Ike, and especially Obiora Nzekwu. Nzekwu’s first two novels published in the early 1960s had been written in stiff, orthodox English, but by the time he composed his third, Highlife for Lizards, published in 1965, he had abandoned standard English and converted to Achebe’s manner of representing African vernacular expression. Two of these novelists—Ike and Munonye—had been Achebe’s classmates at the University of Ibadan, and Nwapa graduated there a few years after he had left. All of them were good friends of his and freely acknowledged having been inspired by his writings. Having had this powerful influence on his peers by writing four path-breaking novels in eight short years, fictions set in present times as well as in the past, each reflecting the dominant concerns of his day, we are left to explain a subsequent enigma: the long gap before the production of his fifth novel, Anthills of the Savannah, which was not published until 1987, twenty-one years after A Man of the People. What threw him off-track for a full generation? I started a novel just before the war which seemed to me at the time terribly important—I already had the idea for it as far back as ’66—but I finally gave it up because it later seemed to me completely unimportant. I think there is a myth about creativity being something apart from life, but this is only a half truth. I can create, but of course not the kind of thing I created when I was at ease. I can’t write a novel now; I wouldn’t want to. And even if I wanted to, I couldn’t. So that particular artistic form is out for me at the moment. I can write poetry—something short, intense, more in keeping with my mood. I can write essays. I can even lecture. All of this is creating in the context of our struggle. At home I do a lot of writing, but not fiction, something more concrete, more directly related to what’s going on. What I’m saying is that there are forms of creativity which suit different moments. I wouldn’t consider writing a poem on daffodils particularly creative in my situation now. It would be foolish; I couldn’t do it. Twenty-one years is a very long time. Did any sort of normality ever really return for him? Yes, he created a number of other works, and university duties as well as community commitments absorbed much of his energy after the war, but were there other matters too that left him feeling disinclined to resume writing fiction? Of course, in 1990 he suffered a tragic paralyzing injury in an auto accident, and being confined to a wheelchair thereafter limited the range of his activities still further. Yet it would be interesting to know more about his state of mind and struggles during all these difficult years, if only to gain a fuller appreciation of what he was able to accomplish despite all these personal and professional setbacks. 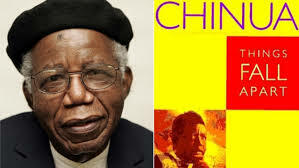 What I am suggesting is that we need to know Achebe better, not just as a creative artist but also as a human being who lived partly in perilous times and survived adversities with his spirit largely intact and his pen still active. He continued to contribute ideas frankly and forthrightly to causes he had long championed, especially the task of reeducating his own people. His last book, There Was a Country: A Personal History of Biafra was yet another bold attempt to reinterpret his nation’s past. It generated a great deal of controversy in Nigeria, but Achebe was doing nothing more than telling the story from his own experience of having lived through the troubled times he describes. In Anthills of the Savannah he had his chief character Beatrice ask, “What does one do to appease an embittered history?”[vii] His own answer to that question in There Was a Country appears to have been to tell the story truthfully and creatively, relying on your own perception of what happened and offering your own opinion of why it happened that way. The controversy over Achebe’s final statement on Nigeria is likely to continue until we have a more complete understanding of the man who excited it. Ezenwa-Ohaeto has given us a fine biography of Achebe that puts on record a good many of the formative experiences of his career, placing them in chronological order and relating them to the books he produced during that span of time. But his account was published sixteen years before Achebe died. The final chapter has yet to be written, and it may require investigative research of a kind that has not yet been done. Indeed, even Achebe’s early years need to be more thoroughly documented not only with relevant written records but also with oral testimony from people who knew him well at some stage in his life. A greater abundance of such pieces, strategically assembled, may enable us to put together a clearer picture of the life and career of Chinua Achebe that is for more detailed and far less puzzling than currently exists. One hopes we will grow to know him better in the years to come. [i] Quoted in Ezenwa-Ohaeto, Chinua Achebe: A Biography (Oxford: James Currey, 1997), 280. [ii] Sir Alan Burns, In Defense of Colonies (London: Allen & Unwin, 1957), 23, 63, 67. [iii] Chinua Achebe, “The Role of the Writer in a New Nation,” Nigeria Magazine 81 (1964): 158. [iv] Chinua Achebe, “The English Language and the African Writer,” Moderna Språk 58 (1964): 444-45. [v] Quoted in Tijan M. Sallah, “An Entire Star Has Left Us: Chinua Achebe, In Memoriam,” in Chinua Achebe: Tributes and Reflections, ed. Nana Ayebia Clarke and James Currey (Oxford: Ayebia Clarke Publishing Limited, 2014), 287. [vi] “Interview with Chinua Achebe,” in Palaver: Interviews with Five African Authors in Texas, ed. Bernth Lindfors, Ian Munro, Richard Priebe, and Reinhard Sander (Austin: African and Afro-American Research Institute, University of Texas at Austin, 1972), 12. [vii] Chinua Achebe, Anthills of the Savannah (New York: Anchor Press, Doubleday, 1988), 114.